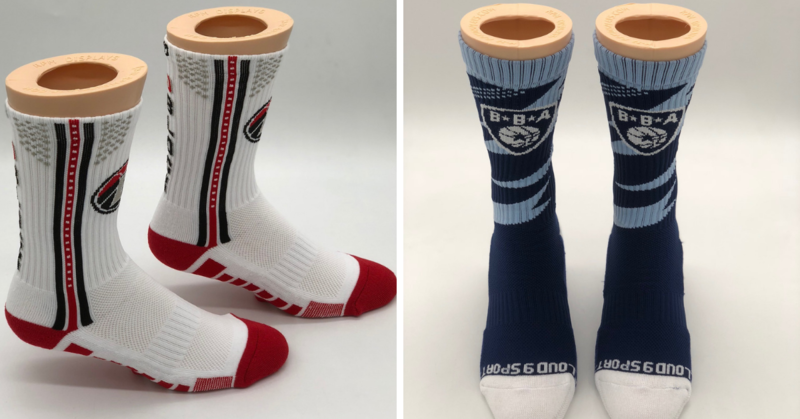 Giving back to our community – and to the communities of our customers all across the US and Canada – is a part of “business as usual” here at Your City Sports. But heading into the holiday season, our Buy One-Give One component becomes even more important, because this time of year can be especially cold and lonely for many of our homeless neighbors. This season, we were thrilled to contribute our small part to Our Hearts to Your Soles. Every year, the organization hosts events around the US, giving away shoes, socks and foot exams to those in need. 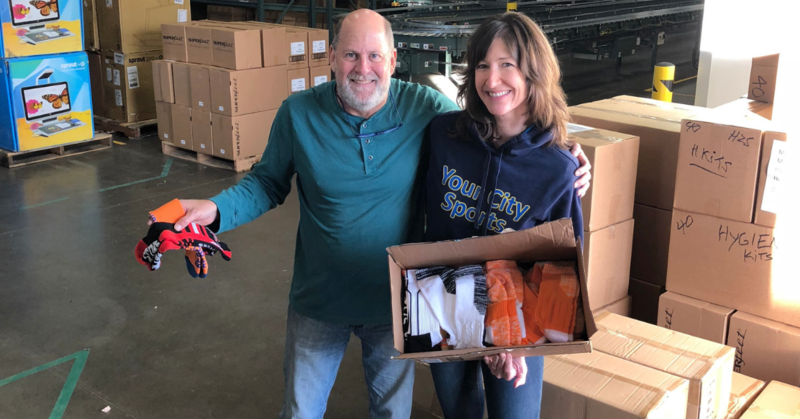 Through event sponsor Superfeet, we donated 713 pairs of new socks to Our Hearts to Your Soles events around the country. 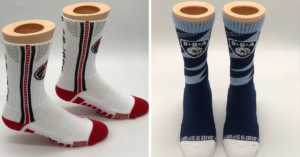 Where did all those socks go? Earlier this year, we were put in touch with Superfeet, a company based in Ferndale, WA that contributes high-quality insoles to the event. 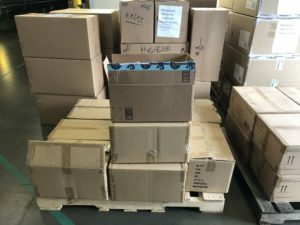 It turned out the local Our Hearts for Your Soles event, held in Bellingham on November 20th, already had enough socks. But seven other locations across the US were still in need. 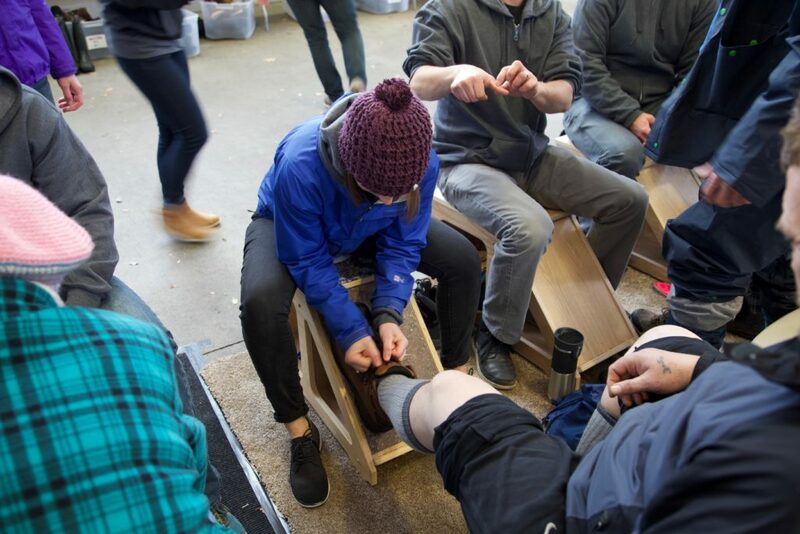 (photo courtesy of Superfeet) Attendees are fitted for new shoes at the 2017 Our Hearts to Your Soles event in Bellingham, WA. Each year, Our Hearts to Your Soles gives away 5,000 pairs of shoes and 14,000 pairs of socks to men, women and children in need. The organization partners with local podiatrists to host events in twenty-six cities. Medical professionals and service providers also offer free foot exams and foot hygiene services. At our local event in Bellingham, WA, attendees get winter boots, Superfeet insoles, socks, a foot evaluation and a pedicure. Foot exams are provided by Peace Health Orthopedics. Last year, four hundred community members in need were served in Bellingham. 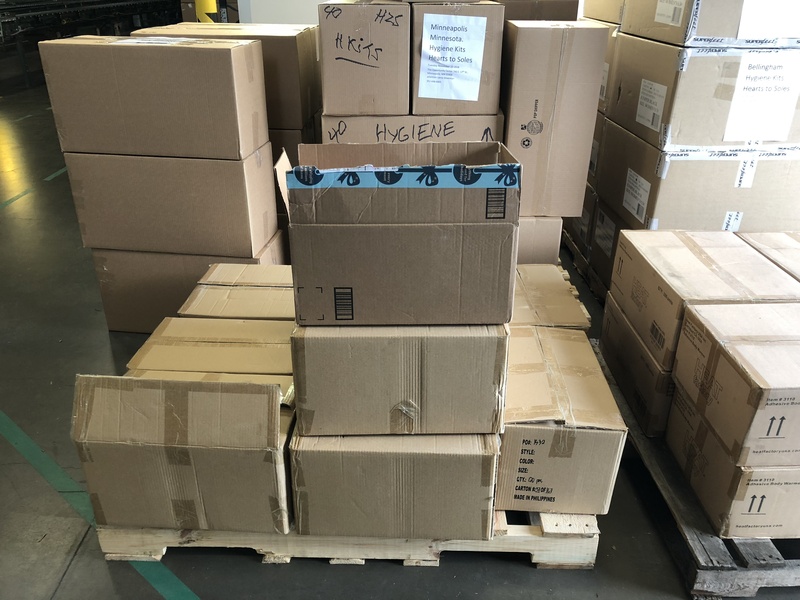 All of these donations were made possible because of custom apparel orders from several businesses, schools and sports organizations.